Dr. Marshall grew up in south-eastern Idaho where he graduated from Shelley High School. He then spent two years in Bolivia where he learned to speak spanish. Then he attended Ricks College where he received an associate degree in general studies. Next he went to Brigham Young University where he graduated with honors receiving a Bachelor’s of Science degree in zoology. After attending BYU he went to the College of Optometry at Pacific University in Oregon where he completed his Doctor of Optometry degree. After graduation Dr Marshall was excited to return to Idaho to practice Optometry, and raise his family. 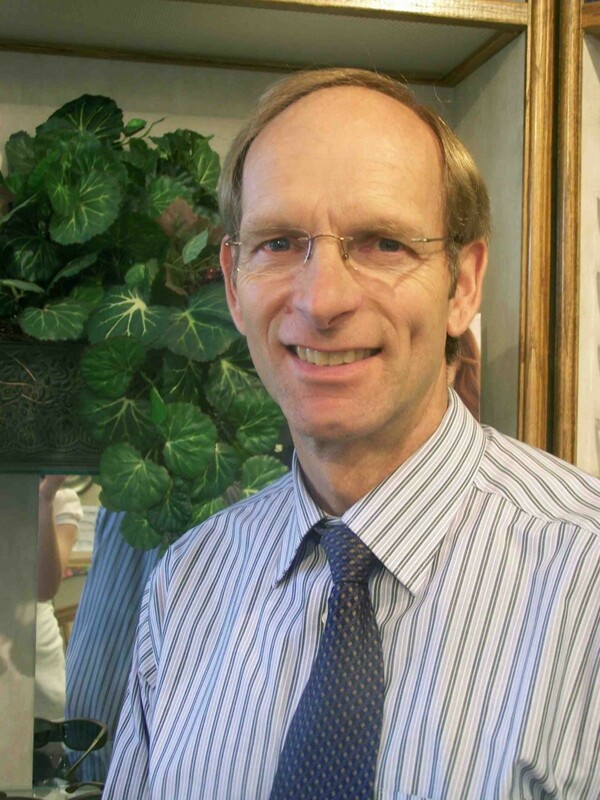 He has been providing eye care in Blackfoot for over 30 years, where he enjoys providing quality care for patients. Dr. Marshall offers comprehensive eye exams and treatment of eye diseases, including urgent care for ocular injuries, eye infections, and foreign body removal. He fits a wide range of contact lenses, including specialty lenses for conditions such as astigmatism, keratoconus, corneal ectasia, and presbyopia. He works with local ophthalmic specialists in providing lasik refractive surgery, treating macular degeneration, diabetic retinopathy, cataracts, diseases of the retina, and other eye conditions. Dr. Marshall enjoys spending time with his family, which includes his wife Paula, five children, and 16 grandchildren. He is an avid outdoorsman, and much of his free time is spent exploring the outdoors and gardening.